Parlanti: winning triplet at the 2018 Roma Grand Prix. Three big names on the podium of the Roma Rolex Gran Prix and all of the three are Parlanti Ambassadors. The exciting edition of CSIO in Piazza di Siena 2018 sees again the oval grass inflamed by the roar of the audience that acclaims his heroes. Edwina Top-Alexander, Bertram Allen and finally Lorenzo De Luca, first place winner and undisputed star along with the splendid horse Halifax. The Roman Piazza di Siena Grand Prix after 24 years is tinged again with the colors of the Italian flag. 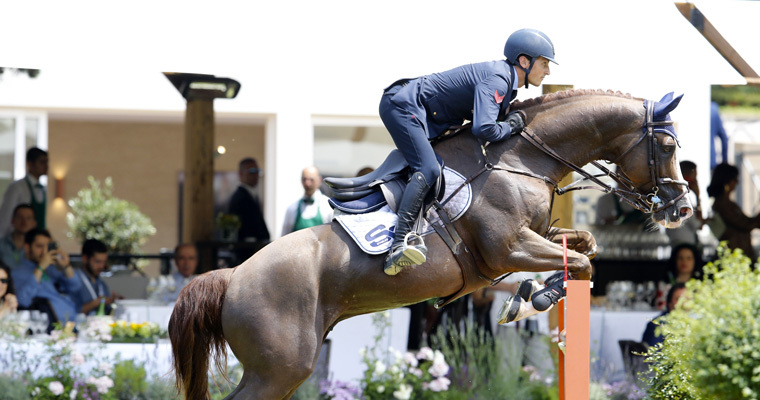 Three Riders who need no introduction, famous all over the world and engaged in the most prestigious circuits of the equestrian scene, they have been riding the peaks of the classifications for years, leaving a trace of their passage. A podium of excellence, which once again confirms the Parlanti team as the undisputed protagonist of the most prestigious equestrian scenes in the world.